Various guidelines recommend that women with triple-negative breast cancer should be tested for BRCA1 mutations, but the prevalence of mutations may vary with ethnic group and with geographic region, and the optimal cutoff age for testing has not been established. We estimated the frequencies of BRCA1 and BRCA2 (BRCA) mutations among 190 women with triple-negative breast cancer, unselected for family history, diagnosed at age 50 or less at a single hospital in Mexico City. Patients were screened for 115 recurrent BRCA mutations, which have been reported previously in women of Hispanic origin, including a common large rearrangement Mexican founder mutation (BRCA1 ex9-12del). A BRCA mutation was detected in 44 of 190 patients with triple-negative breast cancer (23 %). Forty-three mutations were found in BRCA1 and one mutation was found in BRCA2. Seven different mutations accounted for 39 patients (89 % of the total mutations). The Mexican founder mutation (BRCA1 ex9-12del) was found 18 times and accounted for 41 % of all mutations detected. 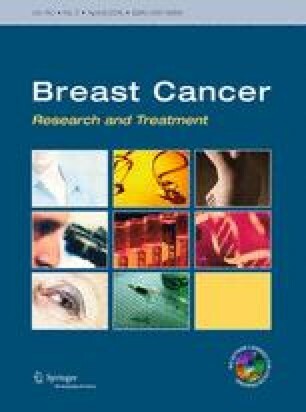 There is a high prevalence of BRCA1 mutations among young triple-negative breast cancer patients in Mexico. Women with triple-negative breast cancer in Mexico should be screened for mutations in BRCA1. Villarreal-Garza C and Weitzel JN have authors contributed equally to this study. The project was supported in part by the Breast Cancer Research Foundation, Avon Foundation grant #02-2013-044, American Cancer Society grant #RSGT-00-263-01, and Award Number RC4A153828 from the National Cancer Institute (J. Weitzel).